Jose Mourinho has described Arsene Wenger as “one of the best football managers in history” after the former Arsenal boss was presented with the lifetime achievement prize at the Laureus World Sport Awards in Monaco on Monday. 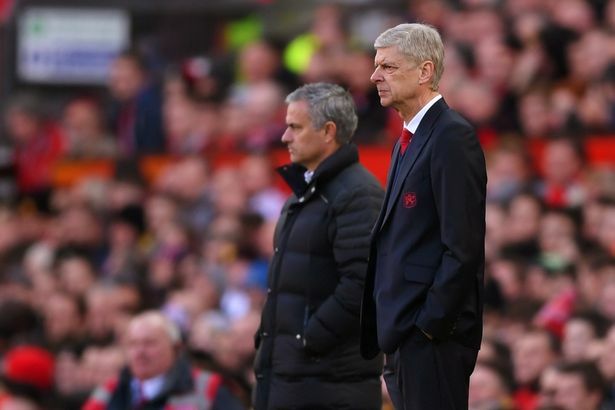 The Portuguese famously called Wenger a “specialist in failure” and the two men clashed several times during Mourinho’s time at Chelsea and Manchester United. But their relationship has since got cold, since Wenger left the Gunners last year. And as Wenger received his lifetime achievement award, Mourinho was one of a number of names from the world of football, to praise a career which saw the Frenchman manage over 1,000 games, win three Premier League titles and seven FA Cups during his time at Arsenal. Wenger also led Arsenal to a historic, unbeaten Premier League season as they won the title in 2004. “There were some episodes along the road. “I can only speak by myself. I really enjoyed the competition. But the real respect was always there. “He made lots of history in that football club. The nickname is there – the ‘Invincibles.’ Amazing. A coaching philosophy, the almost perfect team. He is one of the best football managers in the history of football,” Mourinho said in a video message.